I’ve always heard from tradition that St. Joseph was an older man, possibly a widower with other children, who died while Jesus was still a young man. This book quotes several prominent Churchmen who describe St. Joseph as a younger man in the prime of life, perhaps just a few years older than the teenage Mary. They also have him being a virgin like Mary. While Scripture is silent on this matter, what is definitely true is that St. Joseph was a righteous, just man who played a major role in Jesus’ life. 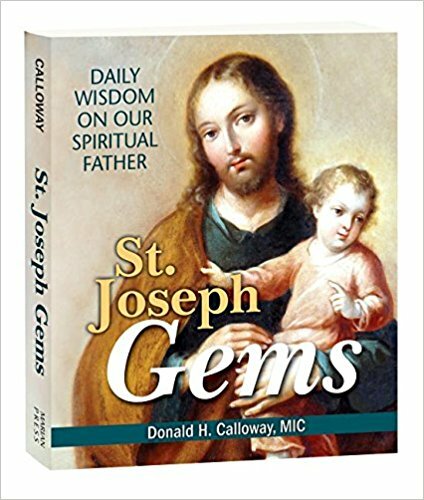 St. Joseph Gems is set up as a daily devotional. Each day of the year features a quote about St. Joseph from a saint, blessed, or pope, as well as an invocation to the saint of the day to pray for us. Each month begins with a beautiful painted image of St. Joseph. The book concludes with the Litany to St. Joseph. St. Joseph Gems offers much spiritual food for thought. It is a wonderful choice for anyone seeking to increase their devotion to St. Joseph. I first discovered Rachel Hauck by reading her book, TheWedding Shop, part of a trilogy of wedding-themed books. 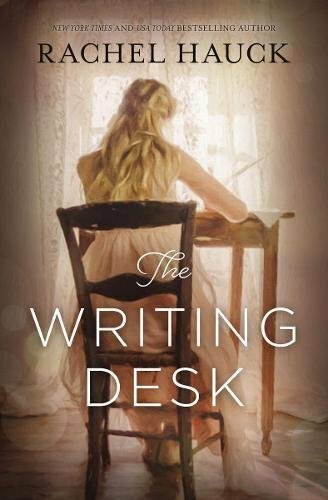 When I saw her latest offering, The Writing Desk, advertised, I knew it was a book I wanted to read. Hauck did not disappoint. I savored every moment of this story. After Tenley Roth’s father died, she poured her heart into writing a book which went on to become a bestseller. Now, her deadline to write a second book is fast approaching and she is suffering from a massive case of writer’s block. To complicate matters, her estranged mother has called her from Florida, asking Tenley to leave New York and come care for her as she battles cancer. Her decision to help her mother will lead to lasting changes in her life. A century earlier, Birdie Shehorn is the daughter of a rich couple during the Gilded Age. Her whole life is planned out for her, including an arranged marriage to a man she doesn’t love. She is also a writer, but no one takes her efforts seriously. The connected parallel stories are both well-written and enjoyable. The Writing Desk is a delightful romance, but even more importantly, it is a moving portrait of two women struggling to share their stories with the world and discover who they are as individuals in the process. Hauck is a talented writer and I am already looking forward to her next book. Order The Writing Desk (or anything else from Amazon) after clicking this link and help support this site: http://amzn.to/2HACkgM Thank you! Malham, who spent time as a novice at St. Meinrad Seminary, has been an iconographer and artist-in-residence at St. Gregory the Great Catholic Church in Chicago, Illinois where he leads icon workshops, retreats, and lectures. Drawing Closer to Christ is designed as a seven day retreat, but participants can take as long as they need. The retreat is structured around the seven days of the Biblical creation story. Each “day” includes a theological reflection, a list of materials, and detailed instructions. Malham explores many topics related to theology, iconography, and creativity in his beautiful reflections. They are both informative as well as inspirational. While the process of creating an icon can seem daunting, his instructions are very straight-forward, breaking complex tasks into simple steps. There are many helpful photographs, include several in full-color to help in understanding the process of creating an icon. The icon that is created is that of Christ Pantocrator – Christ the All-Powerful, the Teacher (pictured on the cover of the book). “We honor the icon of Christ and reverence it because it is a created reflection of the human face of God in the flesh.” Creating this icon provides an opportunity to meditate on the mystery of the incarnation and allows us to develop a deeper relationship with Christ. 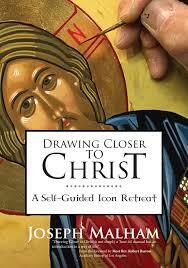 Anyone who has ever been interested in sacred art or the process of icon-creation will love Drawing Closer to Christ. Malham’s reflections were fascinating and offer much to ponder. While the book is designed for at-home use, it could also be a small group project. This book provides an innovative retreat experience, both prayer-filled and creative.